Today, during my free period, the Freshman history class had a guest speaker. An invitation was extended to any faculty who wished to come and listen to this man talk about his WWII experience. So, ignoring my screaming pile of grading, I saunter to the classroom next door. Clarence R. Hibbs, grandfather of faculty member Lincoln Hokenbrough, stands quietly at the front of the classroom surrounded by desks filled with gazing students. After Lincoln offers a few words by way of introduction, Clarence begins at the beginning—the moment he heard that Pearl Harbor had been attacked. He describes the rationing of sugar, gasoline, car tires. He recounts the mobilization of the country—the flooding of housewives and mothers into the workforce. Then, in 1944, at age 18, he was drafted into World War II. He requested to be a medic rather than infantryman, stating he didn’t think he could bring himself to shoot another human being. However, his request was denied, and he was sent into the 9th Infantry Division. After 17 weeks of training he was sent through U-boat infested waters to the shores of La Havre, France. They slept their first night in France in a bombed out German bunker, shivering from cold as it was the bitterest winter Europe had seen in 40 years. From there, still without weapons, they were herded onto boxcars and shipped to the Battle of the Bulge. Indeed so cold that, when the train stopped at a small French depot, Clarence and his buddies “liberated” (Clarence’s word) a small wood-burning stove from a Frenchman there. 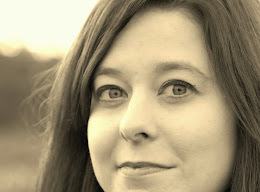 They loaded the stove into their boxcar, stuck the smokestack out the boxcar door, and soon reaped a harvest of warmth. However, the stove got so hot it started blowing smoke, ash, and flame down into the rest of the boxcars, so that their commanding officer stopped the train, screamed at them “with language I had never heard before” for nearly lighting the whole train on fire. They were made to get rid of the stove—which was quite the undertaking as the stove was red-hot and couldn’t be touched, let alone moved. He speaks with tears and a strained voice of his friend Tex (yes, from Texas) who was hit by a mortar shell and killed. And then he starts to sing. He is reluctant at first, admitting he’s not much of a singer. But with a nudge from his wife who sits off to the side, he sings a song his friend Tex sang one night with a guitar he found amongst some abandoned belongings. A song about a soldier writing a letter home to his mom; and about the mother who, as she reads it, realizes her son won’t be coming home from war. The final notes of the song fade. The room is silent. Clarence with his awards and a Nazi flag he acquired during the war. “So now you know I can’t sing,” he says with a chuckle. We all chuckle, relieved to laugh. Clarence then picks up a small trinket on the table next to him. “Anyone know what this is?” He lifts it up for the students to see. It is what looks to be a small, round wooden handle with a short shock of stubby bristles. “When Tex died they said we had to go through his pack so they could send home his belongings. This was his shaving brush.” His voice shakes. He stops and stares at the floor for several seconds before continuing. “I used this brush to shave up until only a few years ago when my wife bought me a new one.” Again, there is a sound of tears in his voice. He is 87 years old. For the past 65 years or so, he has used that shaving brush, each time allowing himself a moment to remember his friend Tex. And he remembers, with choking emotion, a soldier who was killed on the last day of the war, on the day the Germans surrendered. The soldier had six badges on his sleeve, each badge signifying 6 months of service in Europe. That soldier survived three years of war, and was killed on the last day. Clarence and his division were the first division to cross the Rhine River in Germany. They witnessed the liberation of a Czech concentration camp. They were awarded medals and Presidential recognition for their many feats of valor. Yet he seems to have a distaste for calling himself that, saying the heroes are the ones who died, like Tex. Still, I—along with so many others—must insist. Clarence is a hero, not just for his valor, for his determination, for the sacrifices he made for the freedom of this country—though these are truly heroic. Yet his heroism is further displayed because he is standing in front of a classroom of students and telling his story—no matter how much it hurts in the retelling. He speaks so that Tex is honored. He speaks so that this dark moment in history is remembered. He speaks so that the cost of freedom is understood. So while you may resist the title of hero, Clarence, I hope you will accept my thanks. Thank you for honoring your country. Thank you for defending freedom. Thank you for paying tribute to the fallen. And thank you for having the courage to tell your story. You are an example to us all. If you want to read the full story of Clarence R. Hibbs, you can! 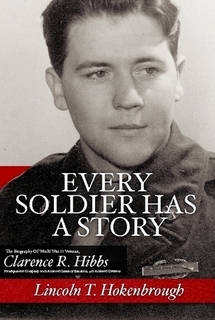 Lincoln Hokenbrough, Clarence's grandson, has recently published Clarence's account in Every Soldier Has A Story. If you wish to purchase a copy, just click on the link below. Oh, how this made me cry. My grandfather is a WWII veteran. My great uncles fought in Korea, one dying on the Bataan Death March. And here I plink away at a novel about Vietnam Veterans, veterans who have been gracious enough to trust me with their stories. It's a heady thing, but you're right - we must insist. We must insist that they are heroes, because that is precisely what they are. It has absolutely nothing to do with whether or not one agrees with the politics of war - that is an arena for the bureaucrat and has little at all to do with the soldier. But the soldier, the man (and now woman) who not only witnesses but endures the unspeakable atrocities of war, the loss, the heartbreak - they are nothing short of heroes, and, I would argue, are often so much more. Thanks for posting this, Anna. What an amazing opportunity. It was amazing, kate. And I sat in the back of that room near to sobbing at times. Another teacher, when asking a question, called Clarence a hero, and you could see how uncomfortable with the title. But there literally is no other word for it. Honor, Valor, Heroism. And, like you said, even those words don't seem to be enough. So glad you're helping to write some of these veterans' stories! Hello, David! It is always astonishing (at least for me) what normal lives these men were able to lead after their horrific wartime experiences. Like playing chess! They were ordinary men asked to do extraordinary things. So they did it. Without expecting the title of "hero"--though that is indeed what they are. My grandfather flew an army bomber and was in training to go to the Pacific when V-J day happened. When I asked him if he was relieved to not have to go to war, he shook his head. "No, I wanted to go. I wanted to help." It's a mindset I would love to instill in my students, my kids, and even myself! Thanks for commenting, David. Very nice to meet you! Loved Clarence's story, Anna. Thank you for sharing it with us. We have lost so many of our old vets, and the younger generations need to know what they did for us all. Completely agree, Danni - thanks for reading!